One of these days, someone will revive the Laverda brand but, until then, we’ll have to make due with browsing the classified ads for vintage machines like this 1971 Laverda 750 SF. Laverda got it’s start the way so many Italian motorcycle companies did, getting the postwar population mobile. Their early business consisted of small-displacement bikes for racing and street. But the writing was on the wall, and the company knew it had to build bigger machines to compete on the world stage, especially in America. 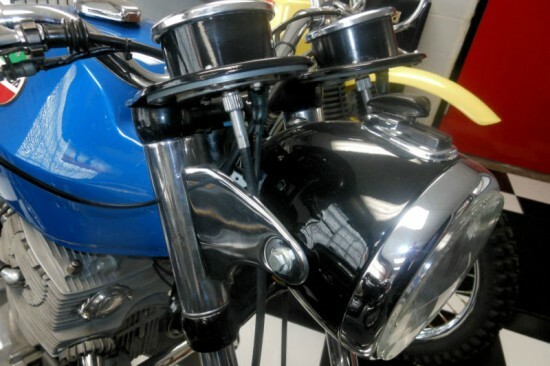 The 650 parallel twin debuted in 1966, with a 750cc version ready by 1968. The machine it powered was fast and reliable, but expensive. They were heavy bikes, nearly 500lbs fully fueled, with a 112 mph top speed and stable handling. The powerplant was very smooth for a parallel-twin, but still characterful and strong. 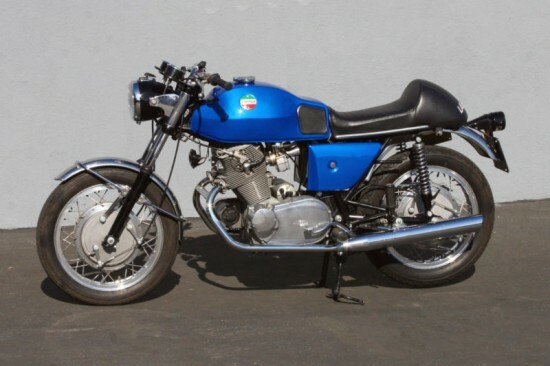 I normally prefer these in classic Laverda orange, but this blue example is stunning. 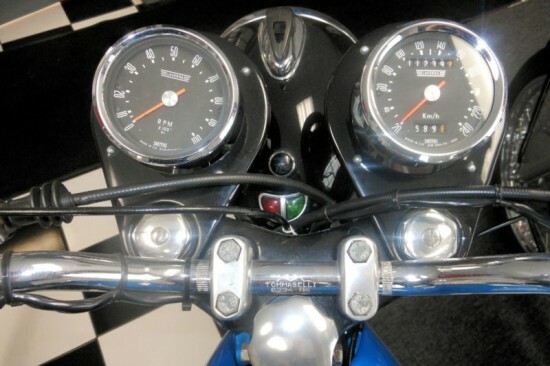 It’s an early example, with simpler Smiths-looking clocks, knee pads, a different fuel tank with a pronounced dip where it meets the seat, and the huge drum brake that gave the bike it’s SF [“Super Freni”] designation. The body of the eBay listing contains very little information, but the photos are excellent and show a bike that looks to be in tip-top shape. I’m saving my pennies for one of the Laverda triples, but I have to say, I’d be very tempted to snap up one of the SF’s if the right one came along. 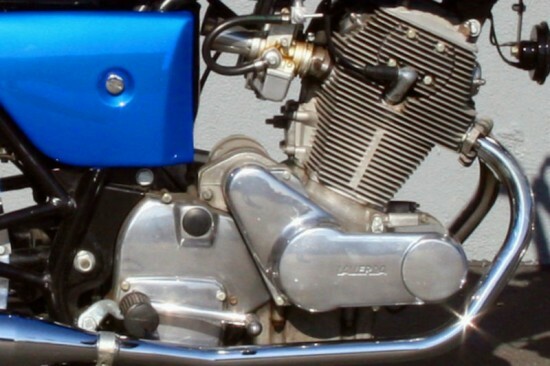 I’ve always noted that the early Honda Parallel twins (CA/CB77 305s) and the Laverda Engine looked strikingly similar. I wonder which marque was the originator, and if there was any directional influence.